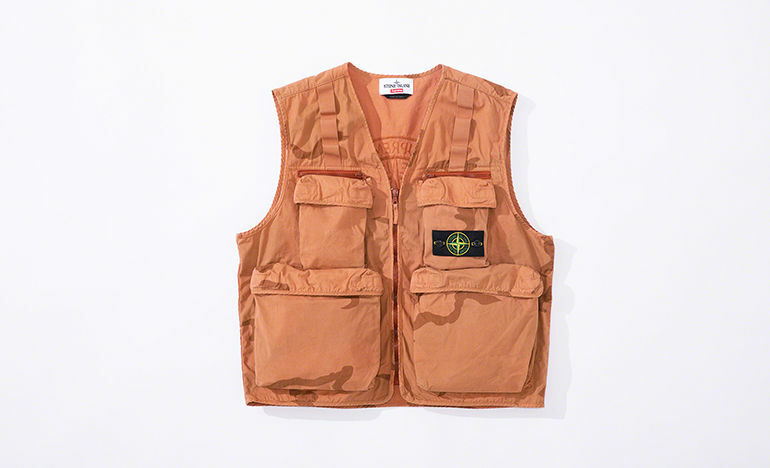 Jacket and vest in Brushed Cotton 2C Camo-OVD, brushed cotton canvas printed with a two-colour camouflage pattern. 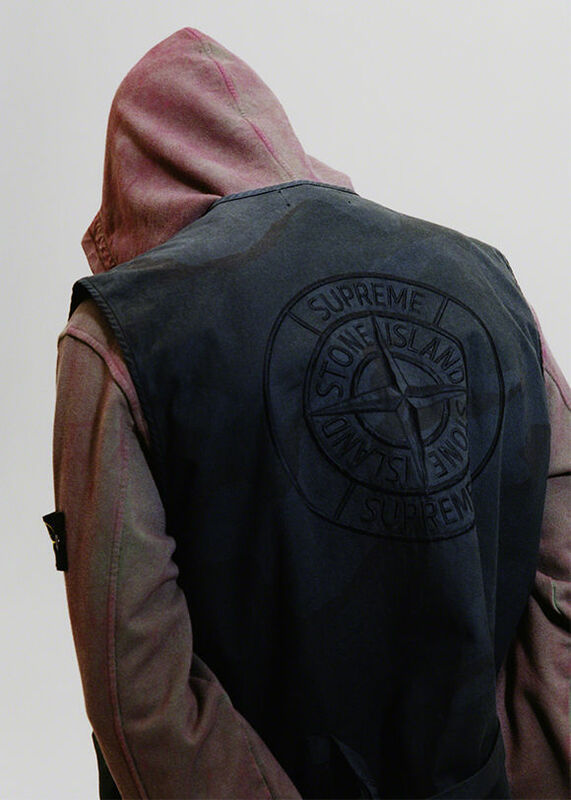 The garment undergoes an over dye procedure that specifically nuances and pollutes the printed motif. 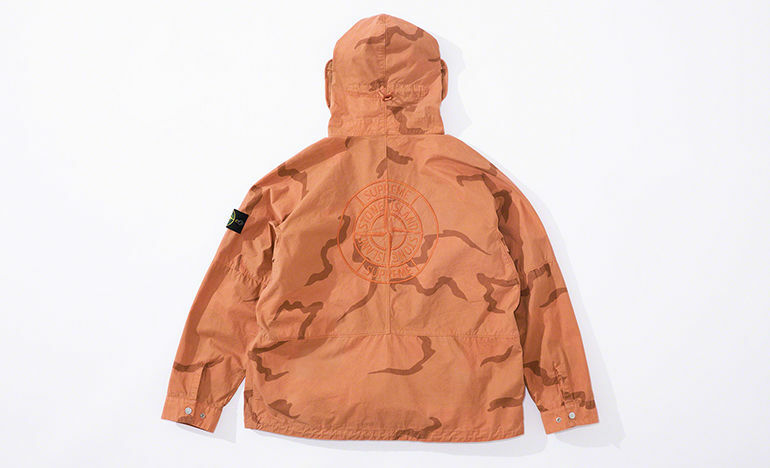 Big embroidery of the Stone Island/Supreme PIN on the back. 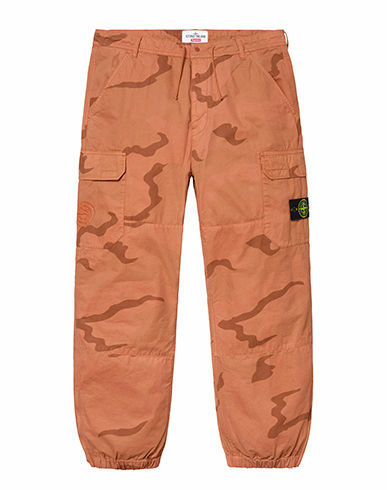 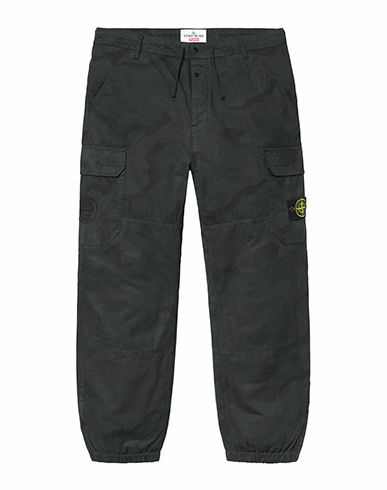 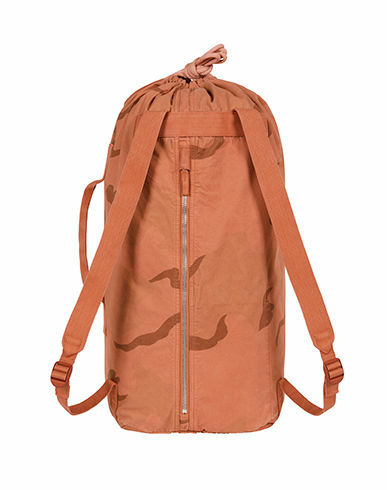 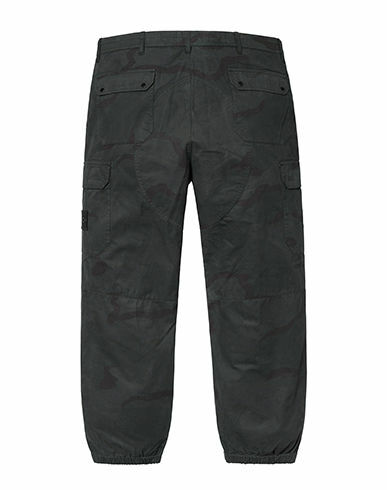 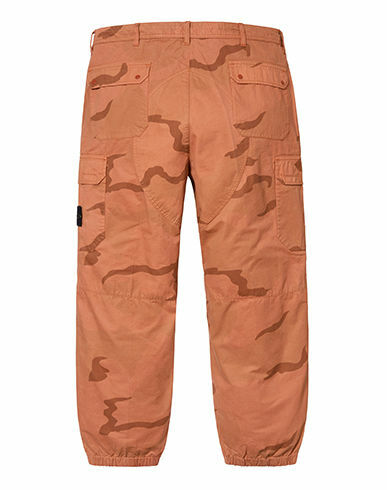 Also the cargo trousers, boonie hat and shoulder bag are made in Brushed Cotton 2C Camo-OVD. 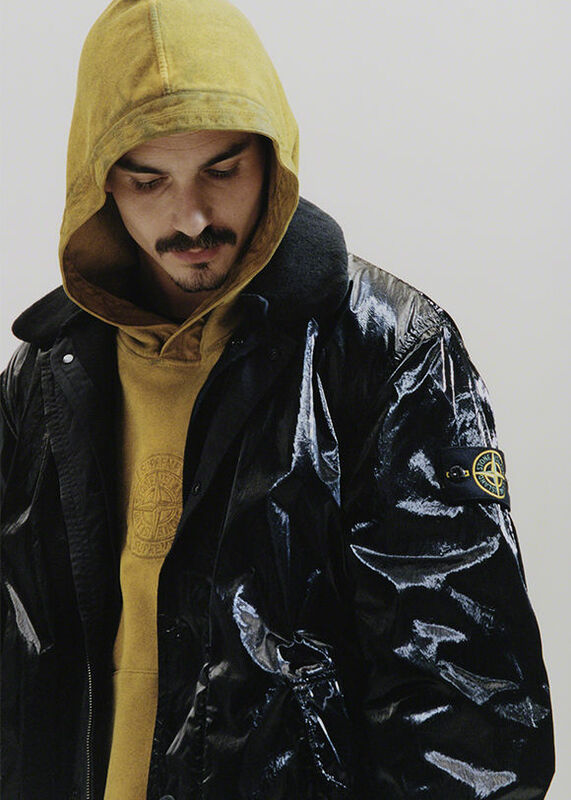 Jacket and jogging trousers in New Silk Light, a modern and lighter take on Silk Light, the historic Stone Island fabric from the 80s. 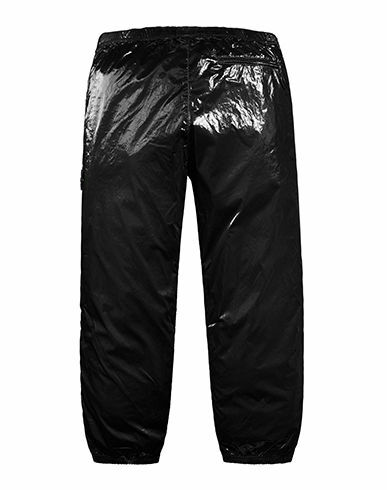 It is made by applying a glossy, finely knurled polyurethane coating on a shimmering tela. 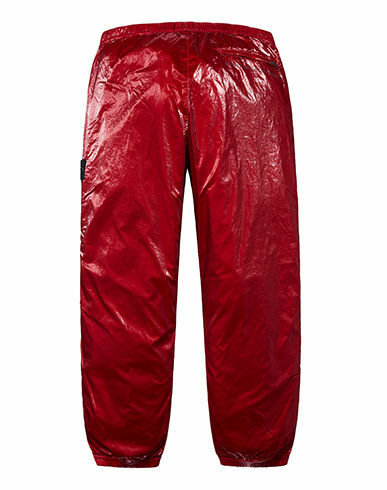 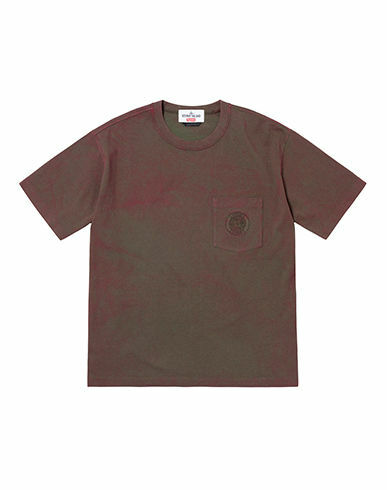 Garment dyed with a double recipe, for an intense and deep colour rendering. 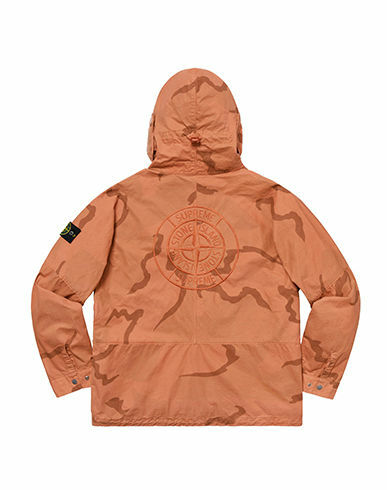 Stone Island/Supreme 2019 print. 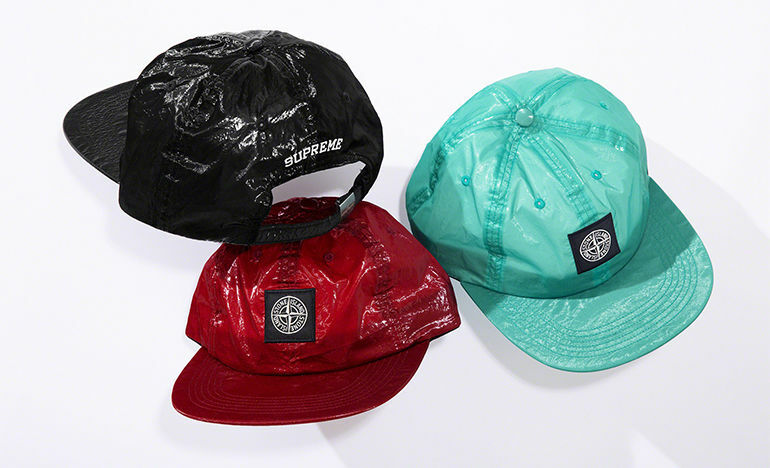 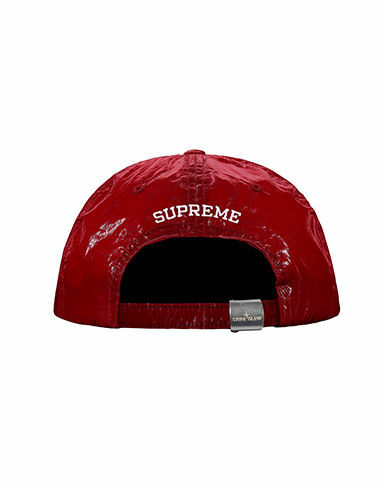 Supreme six panels cap made in New Silk Light. 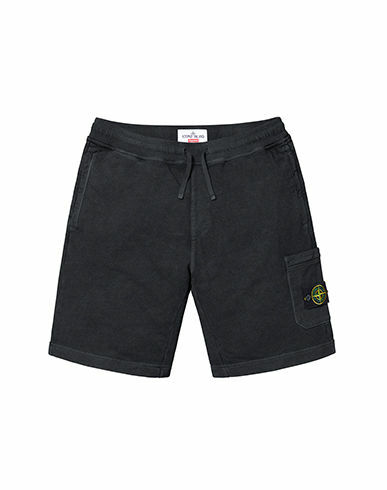 Hooded sweatshirt and Bermuda shorts in cotton fleece. 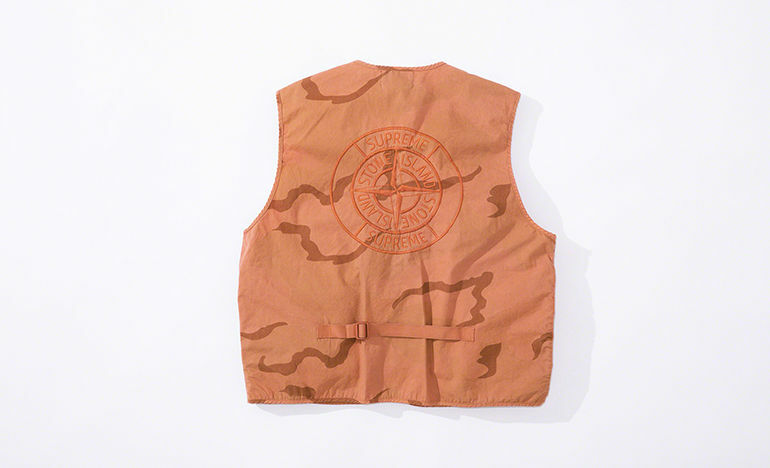 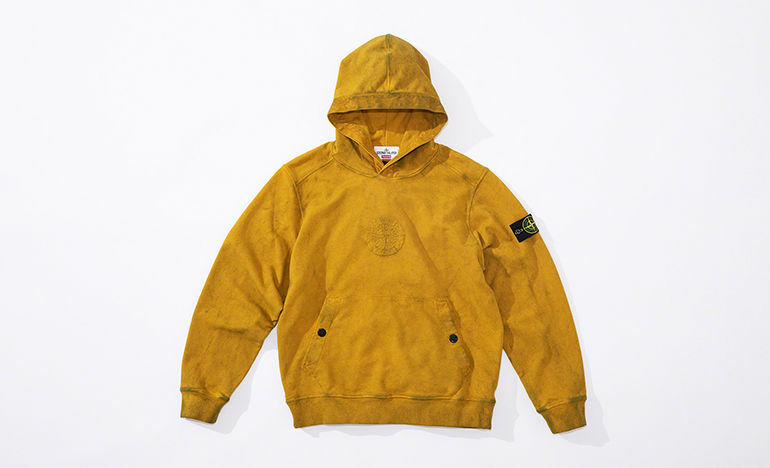 Embroidery of the Stone Island/Supreme PIN. 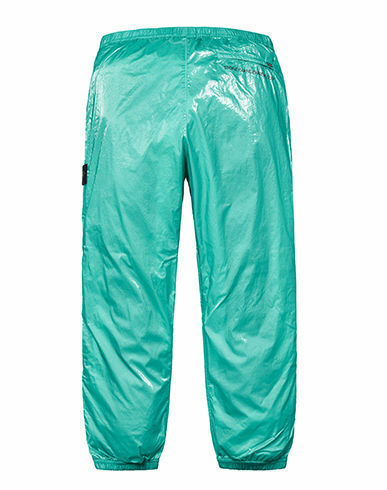 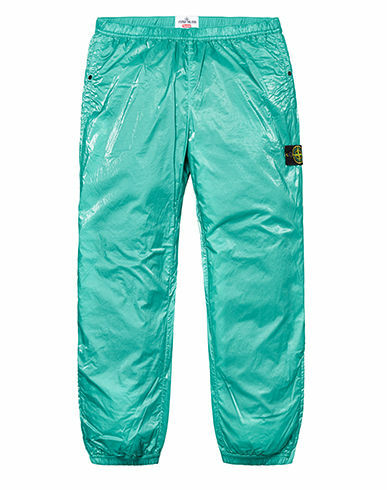 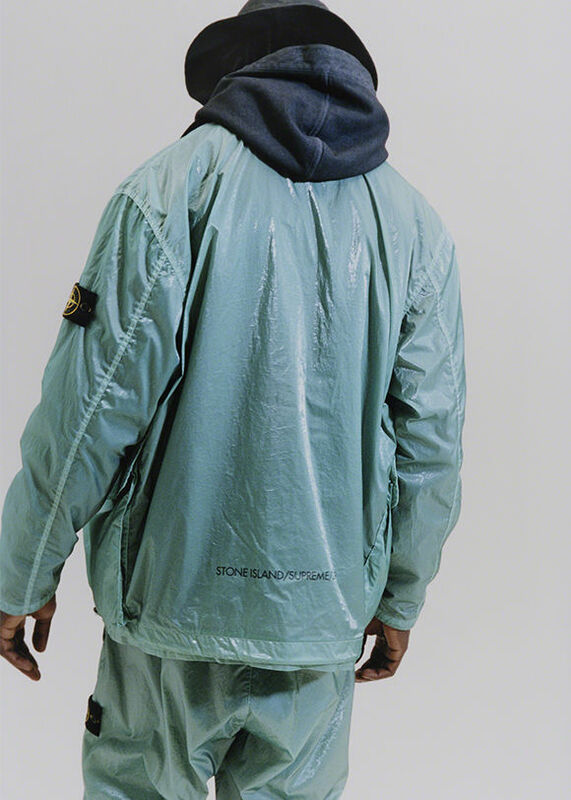 Garment dyed with subsequent Dust Colour treatment, which deposits on the surface a veil of contrasting colour for a unique and unrepeatable appearance for each piece. Short sleeve T-shirt in cotton jersey. 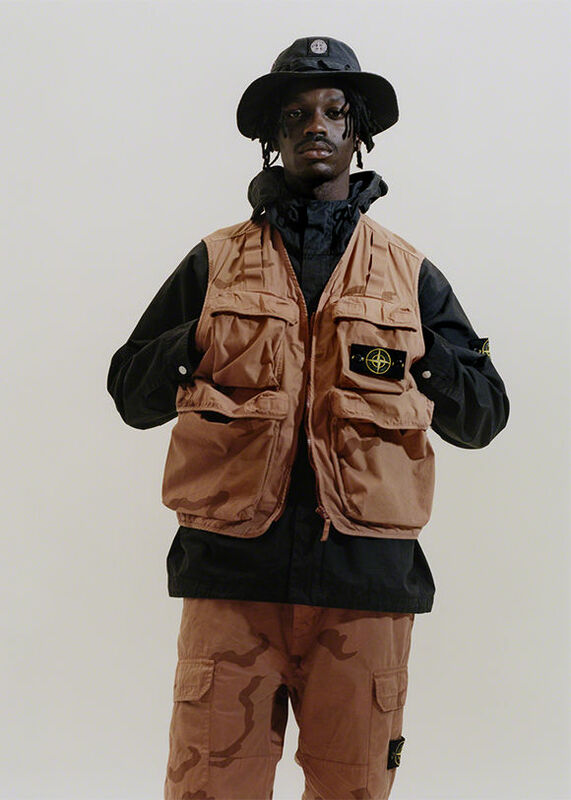 Patch pocket on the chest, featuring the Stone Island/Supreme PIN embroidery. 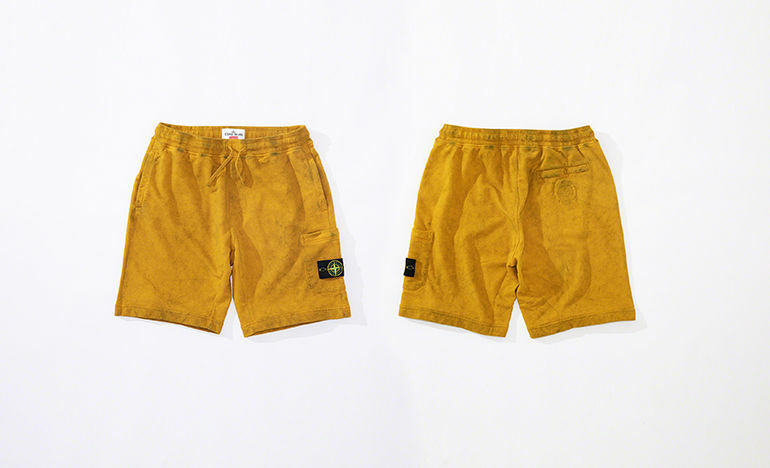 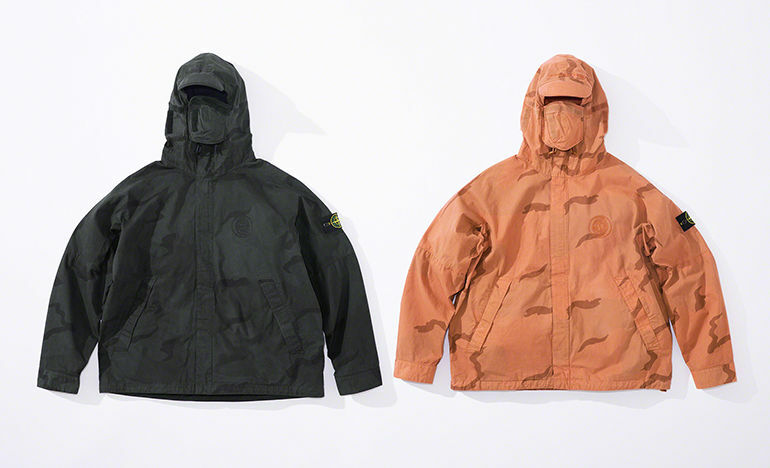 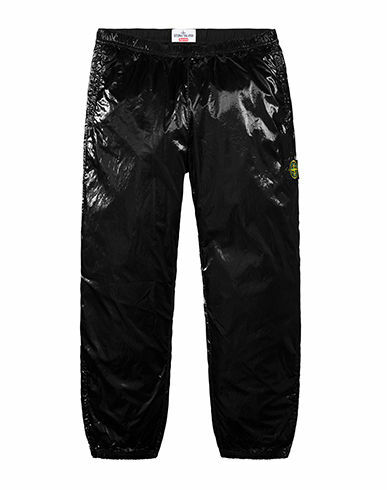 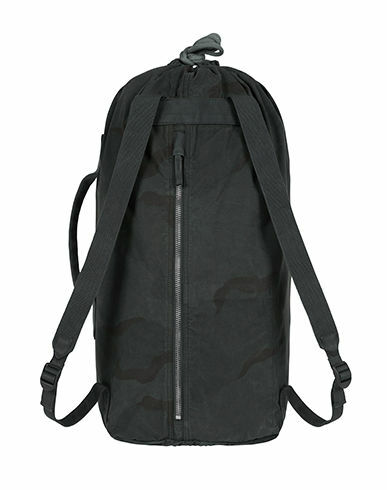 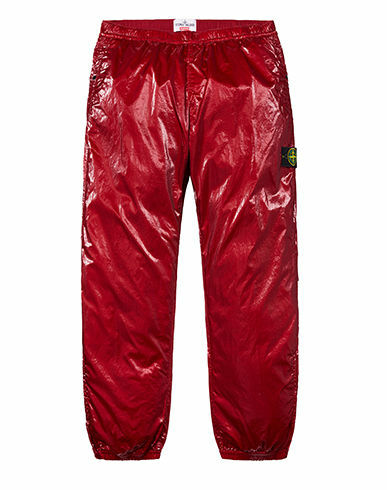 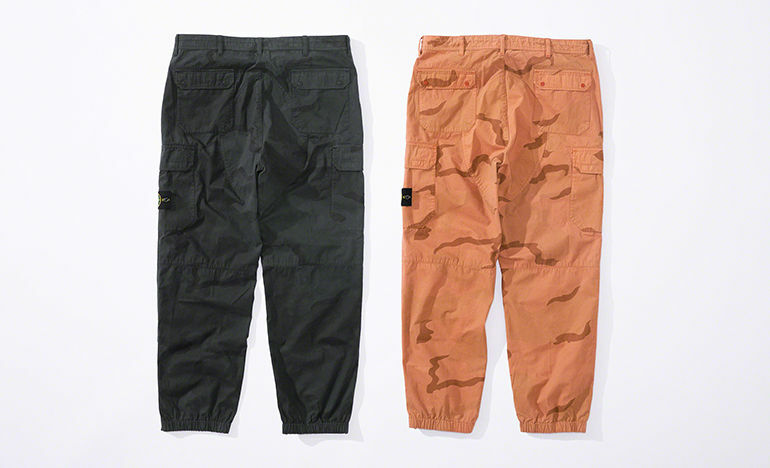 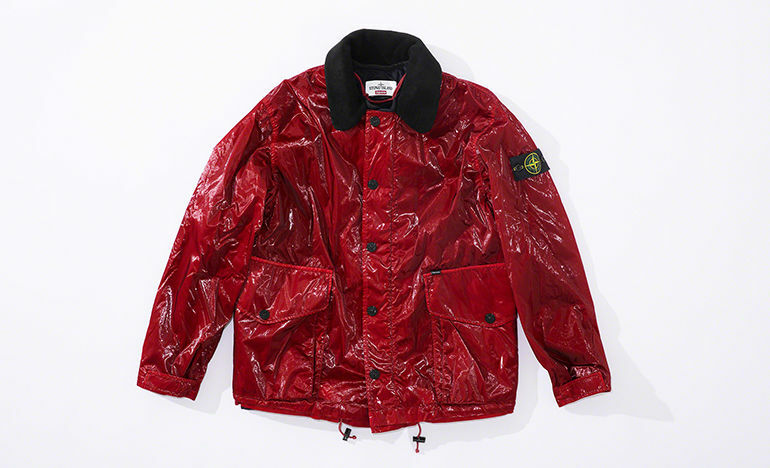 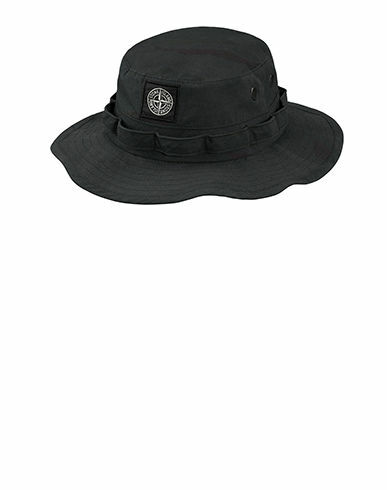 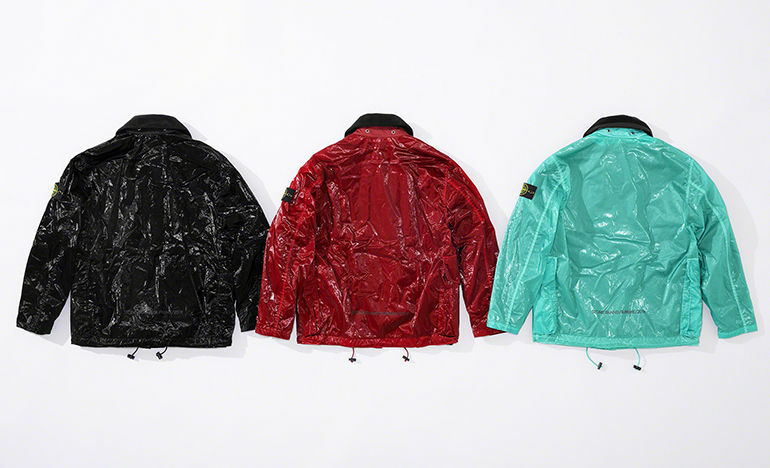 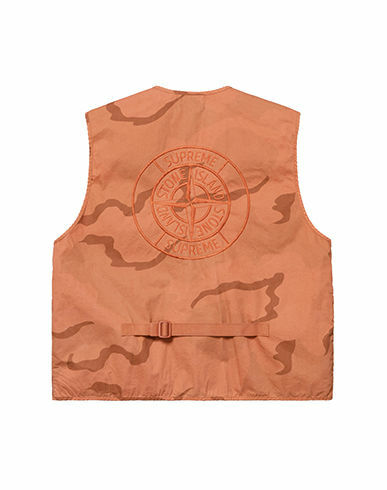 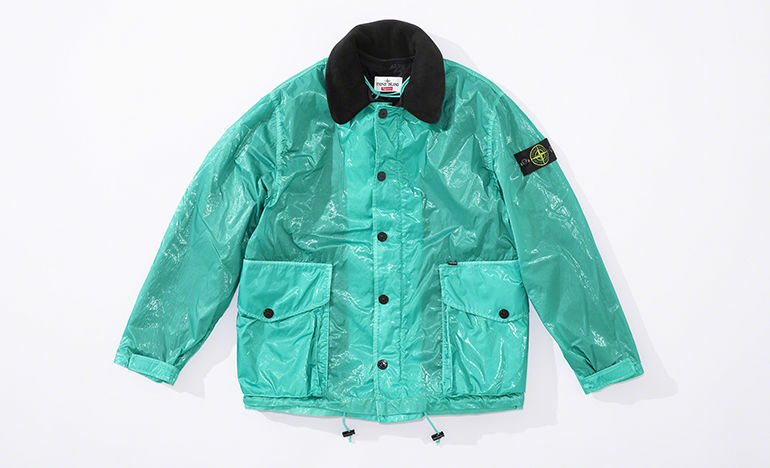 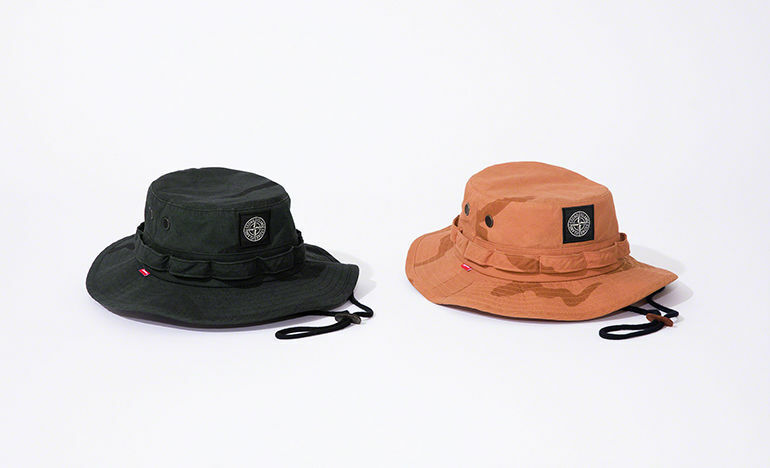 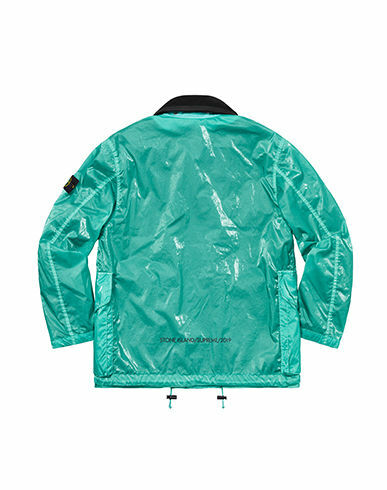 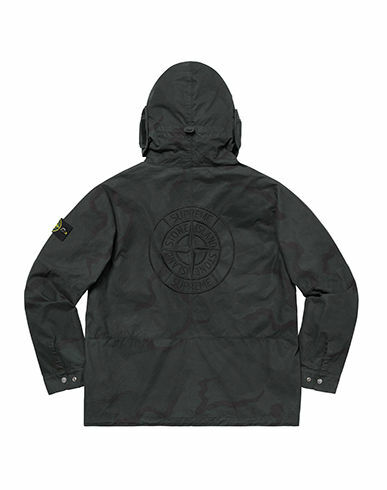 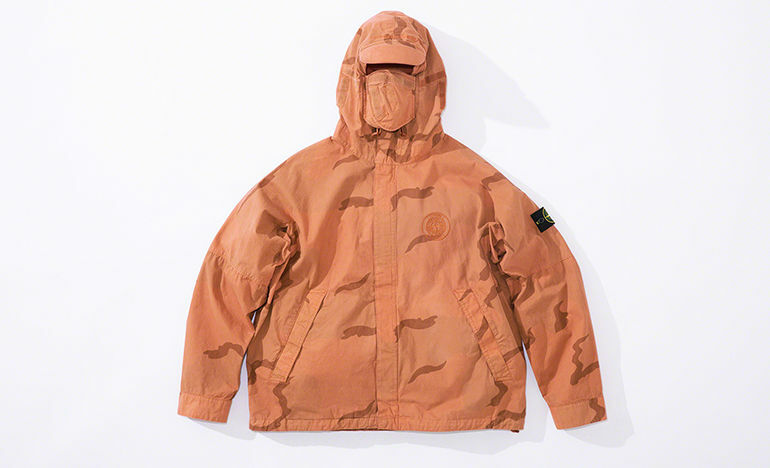 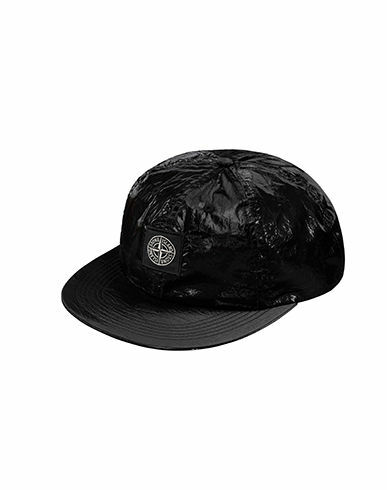 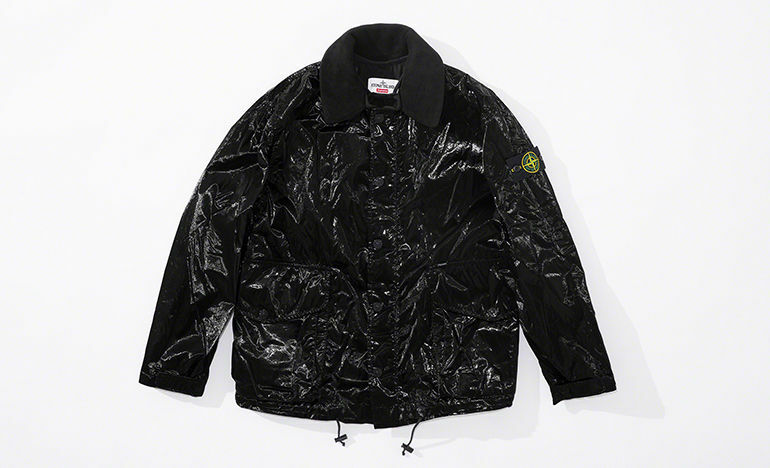 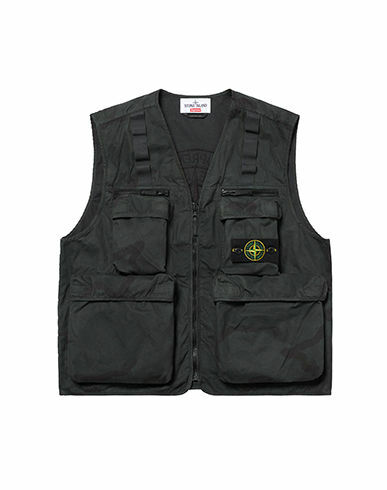 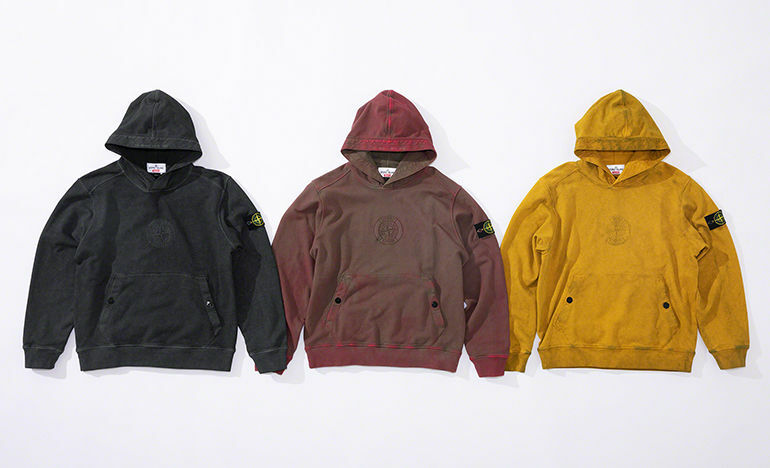 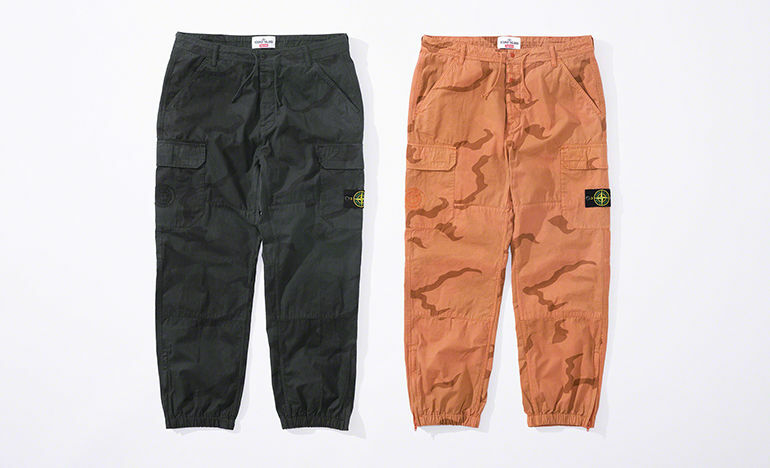 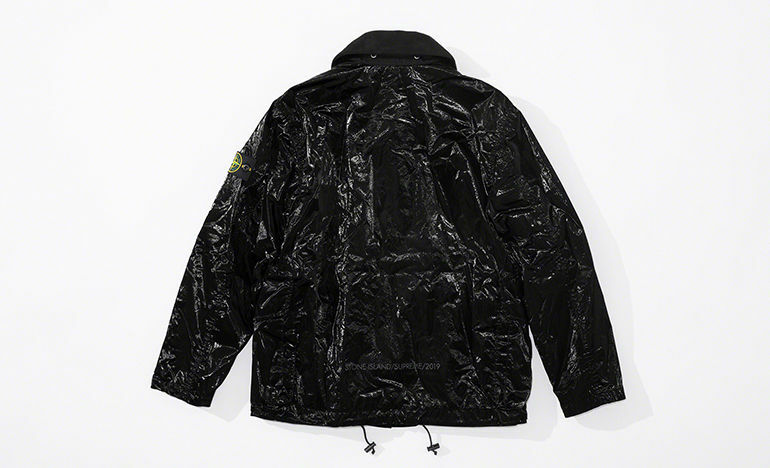 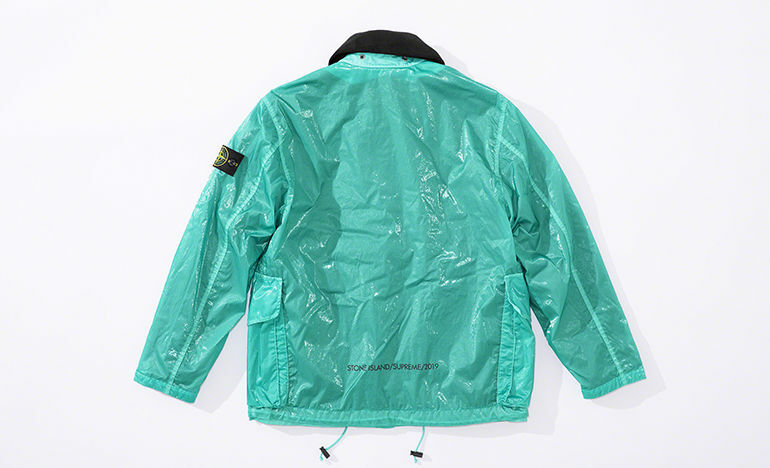 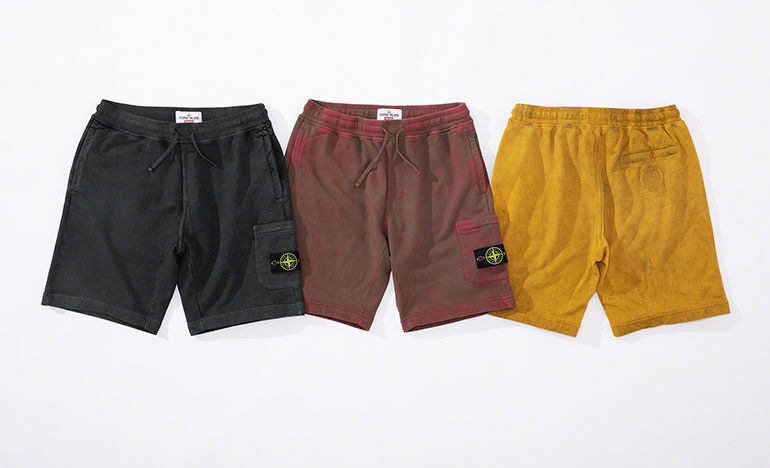 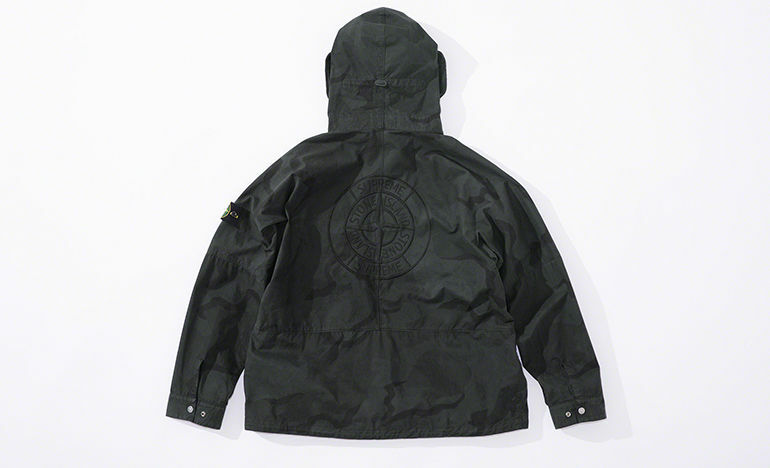 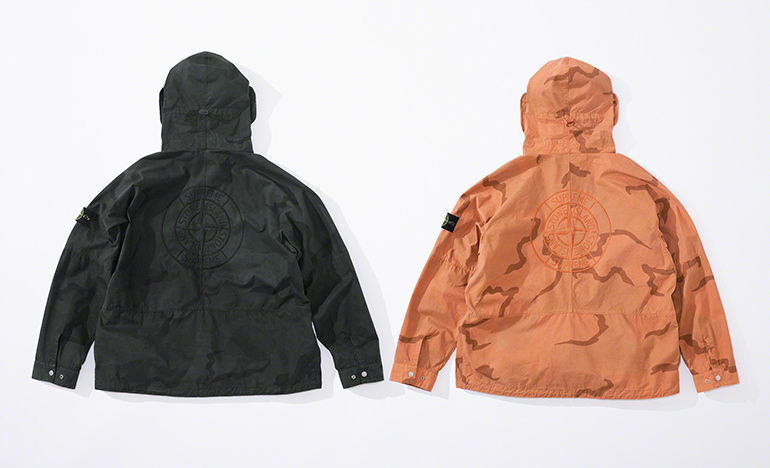 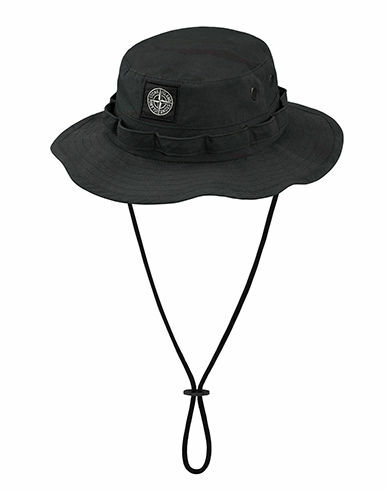 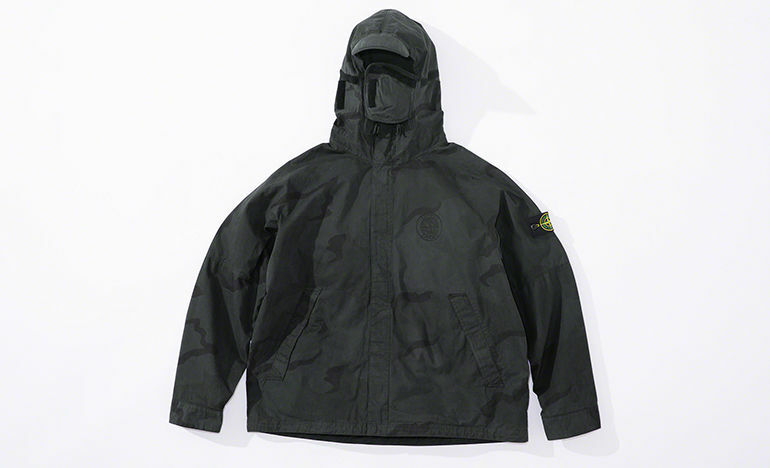 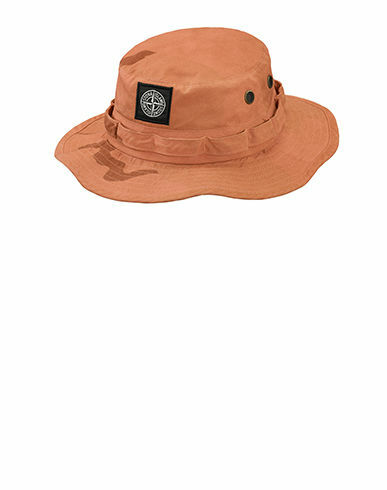 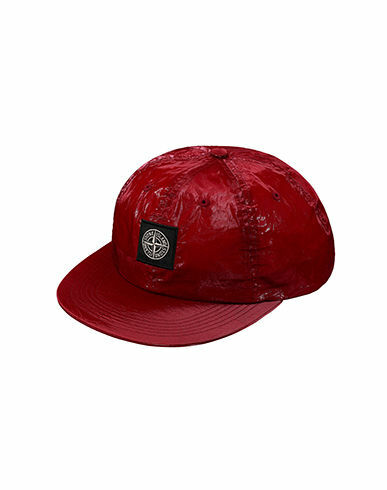 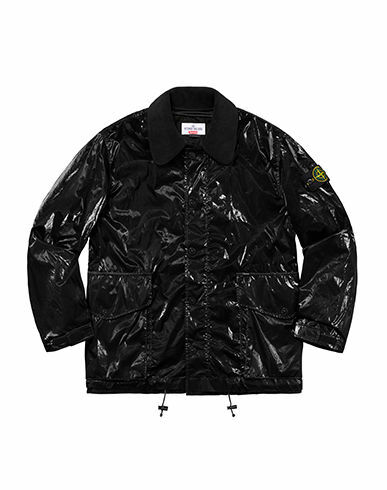 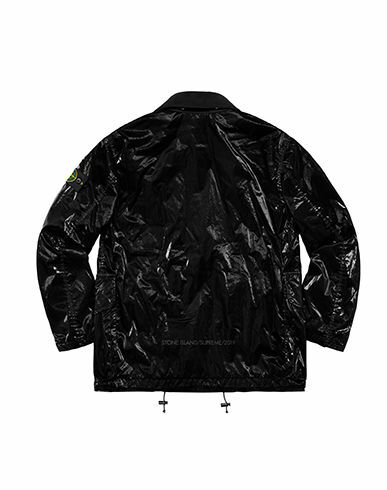 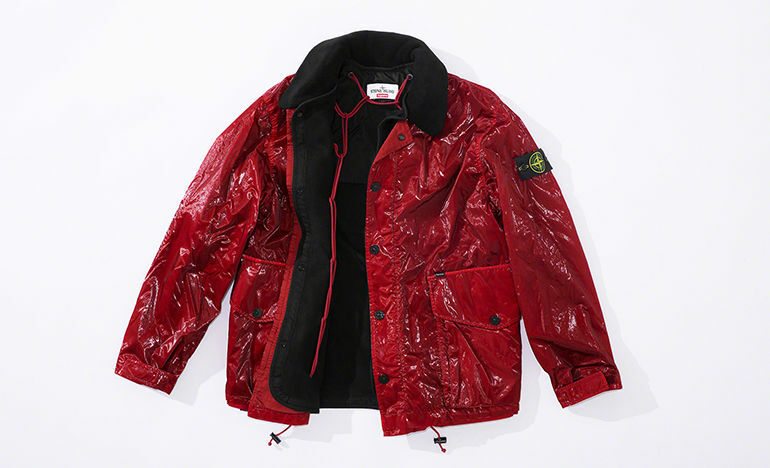 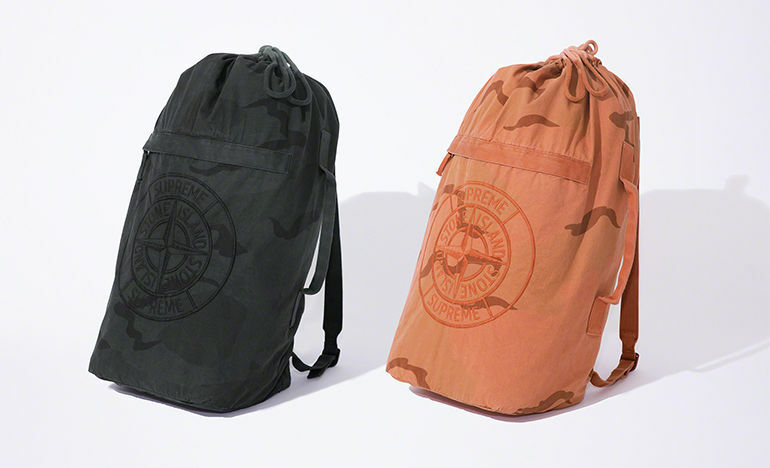 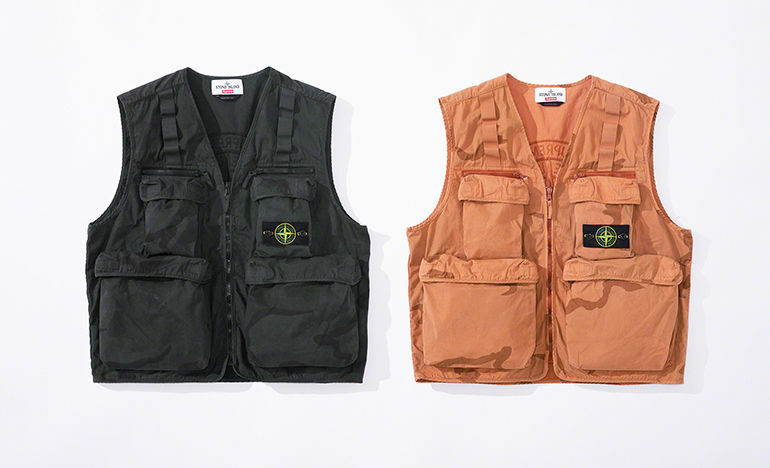 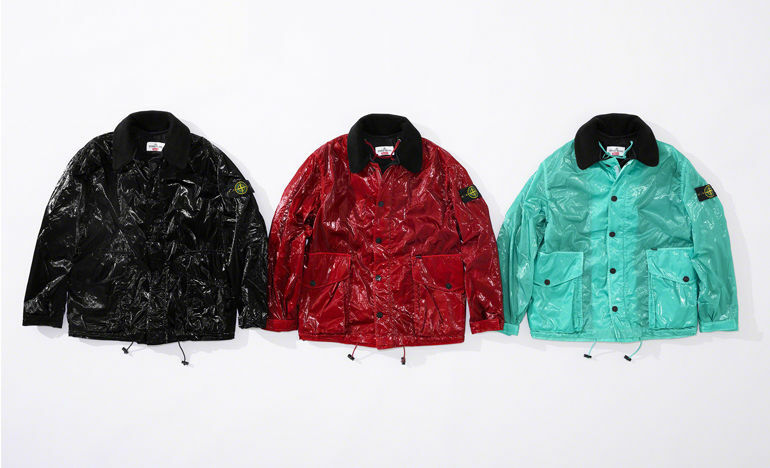 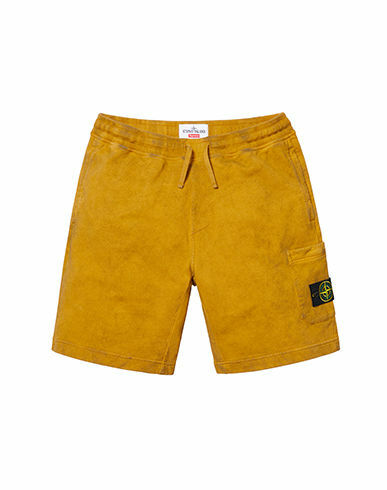 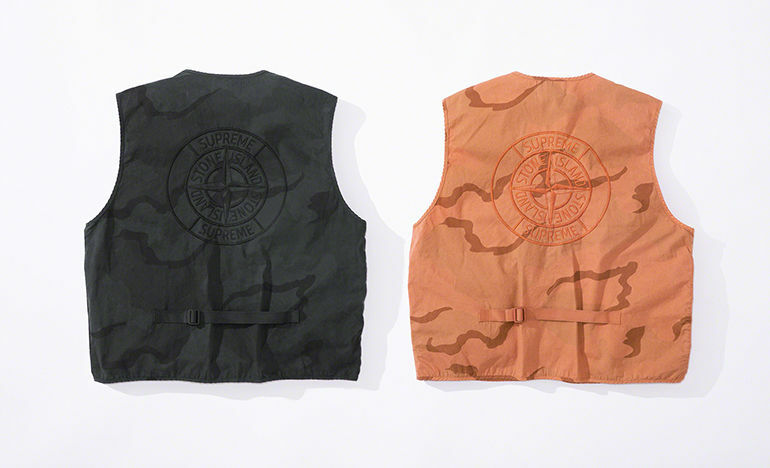 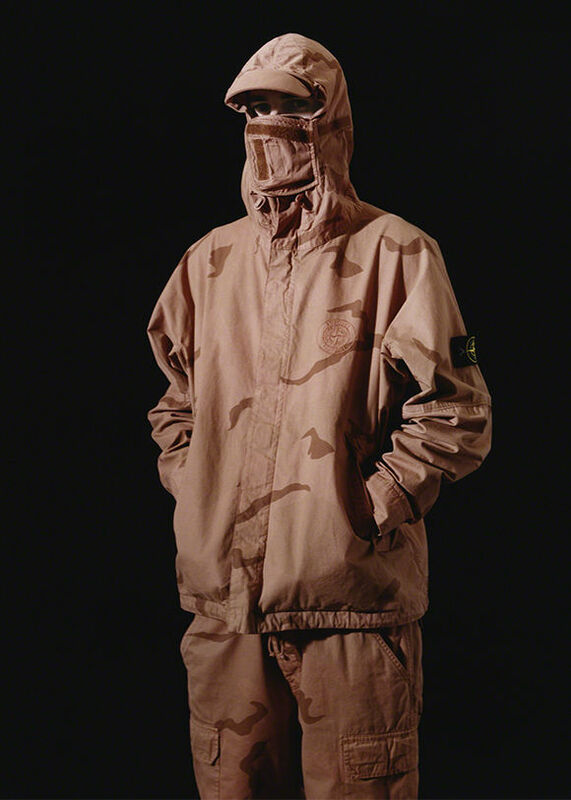 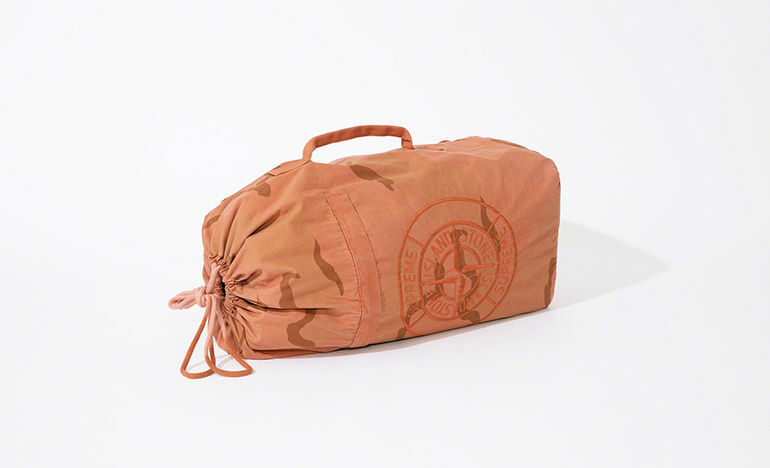 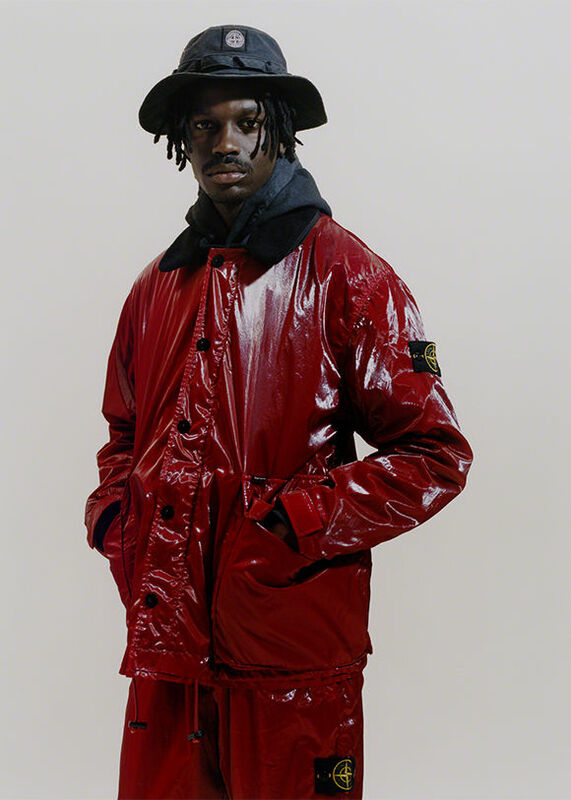 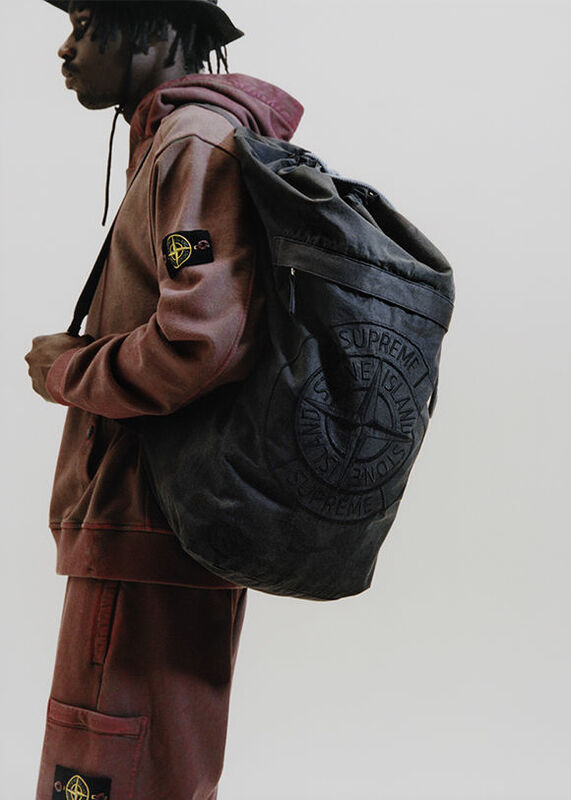 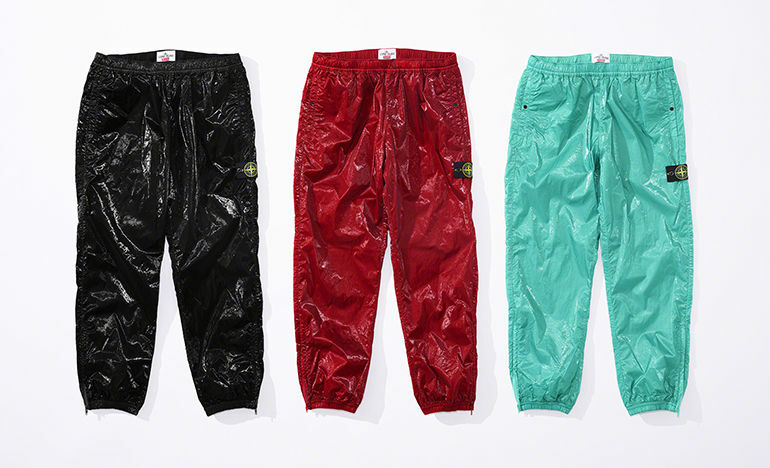 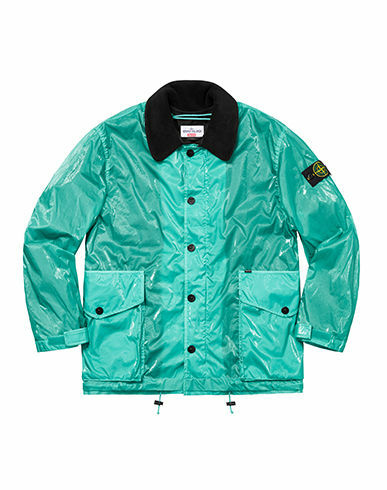 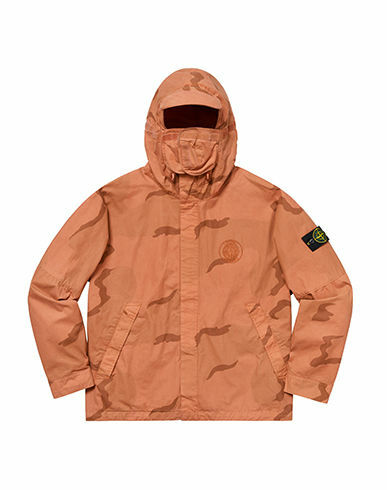 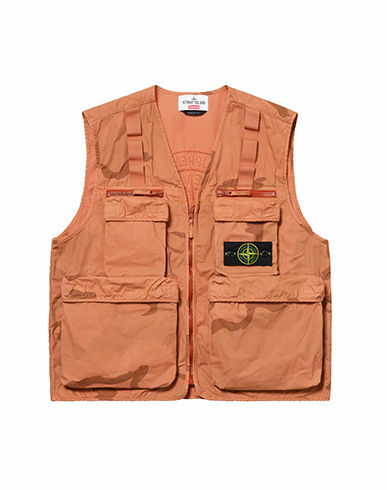 Available starting 14th March in Europe and North America and from 16th March in the Far East – at Stone Island flagship stores*, on stoneisland.com and, for the United Kingdom, on stoneisland.co.uk. 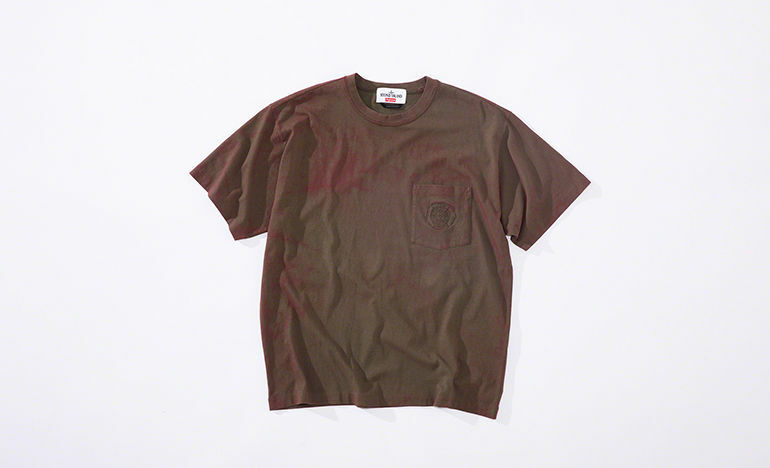 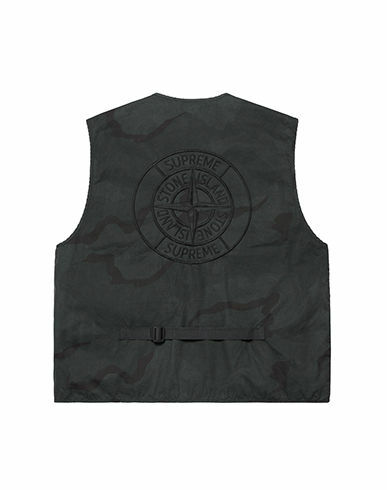 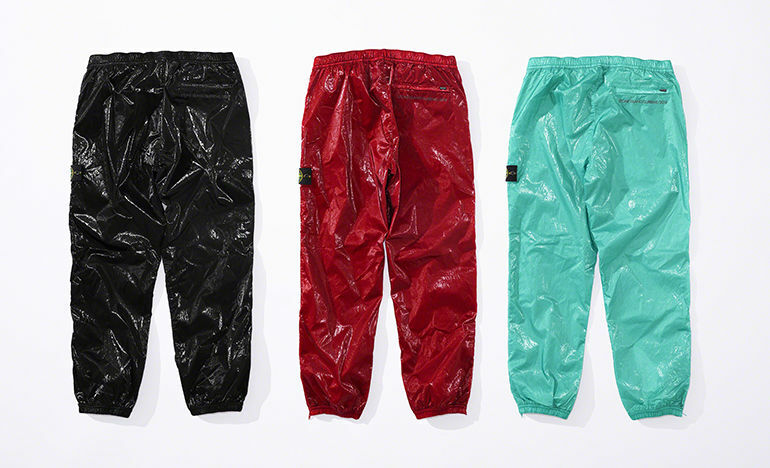 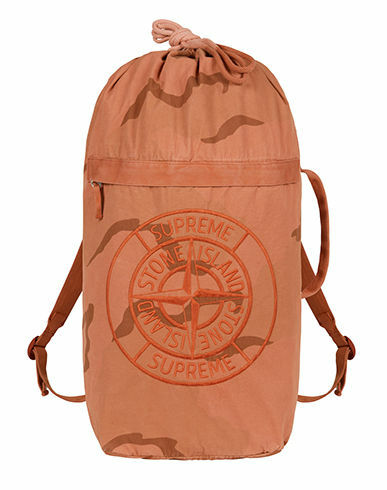 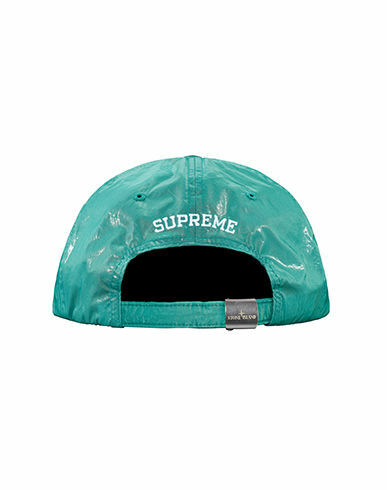 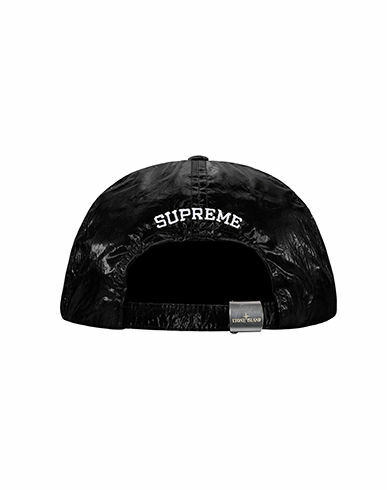 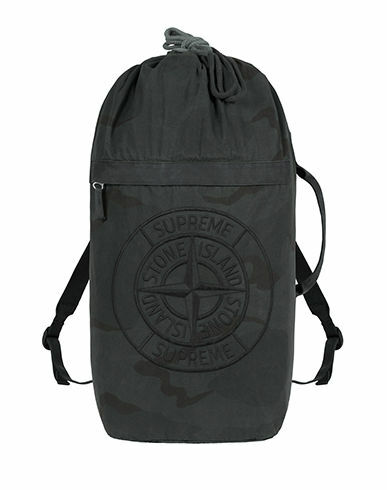 Available at Supreme** stores and on supremenewyork.com. 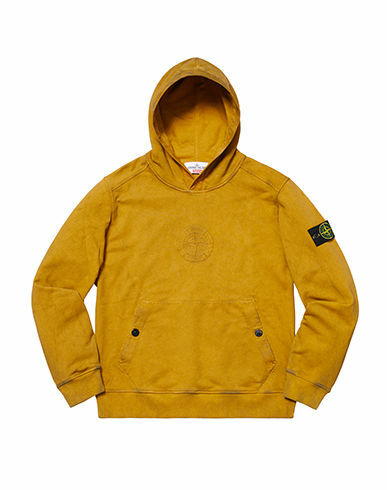 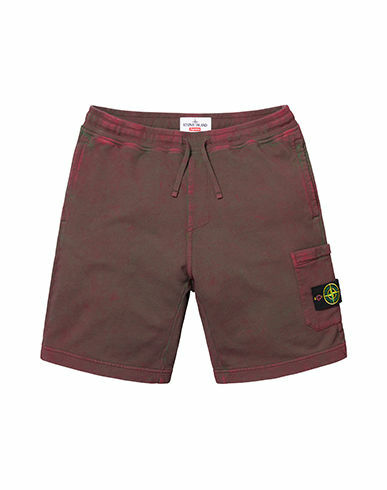 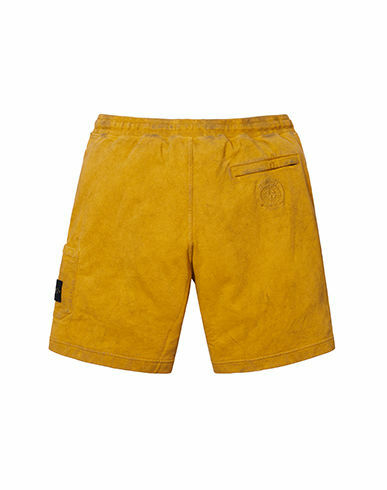 * Milan, Rome, Venice, Verona, Florence, Turin, Riccione, Forte dei Marmi, London (registration and terms info on stoneisland.co.uk), Paris, Cannes, Munich, Hamburg, Sylt, Amsterdam, Antwerp, Stockholm, New York, Los Angeles, Tokyo, Seoul, Daegu and Hong Kong. 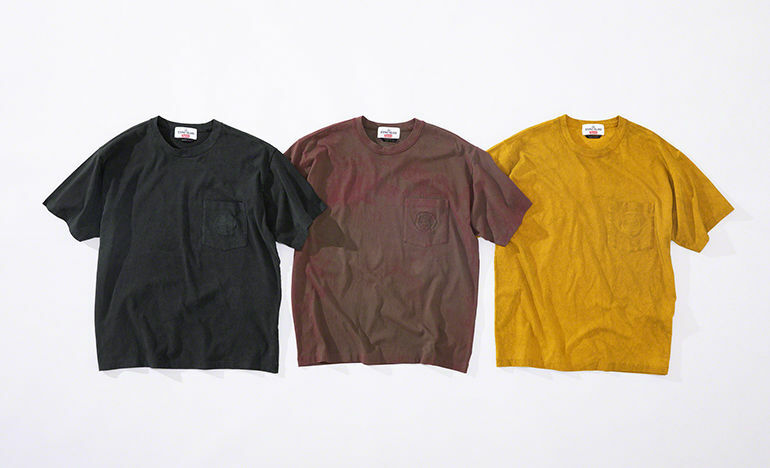 ** New York, Brooklyn, Los Angeles, London, Paris, Tokyo, Nagoya, Osaka and Fukuoka.